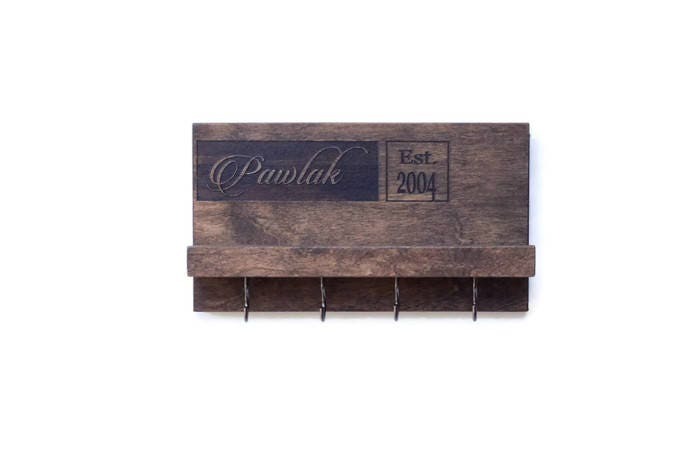 What better way to commemorate a special date than a personalized key rack! 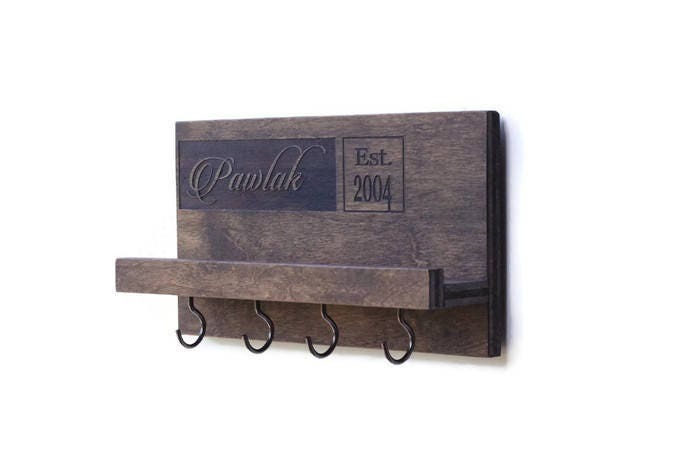 Our handcrafted entryway organizer features a floating shelf handy for storing phones, outgoing mail and other items necessary to your daily life. 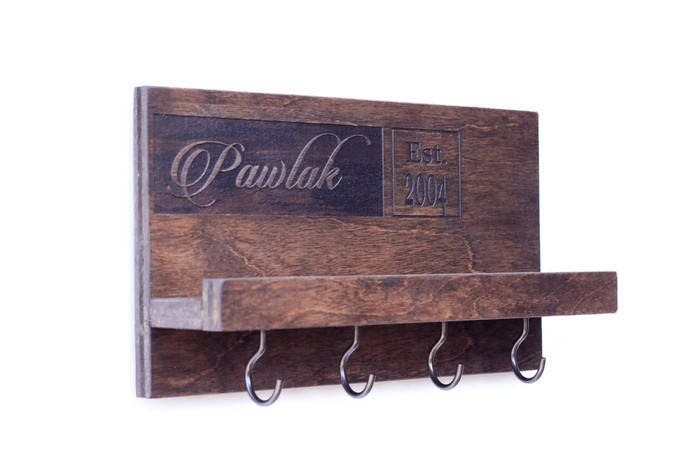 A series of four key hooks make an excellent place to hang keys, dog leashes and lanyards. This product also works great as a jewelry rack for storing necklaces, watches, bracelets and displaying other small trinkets. 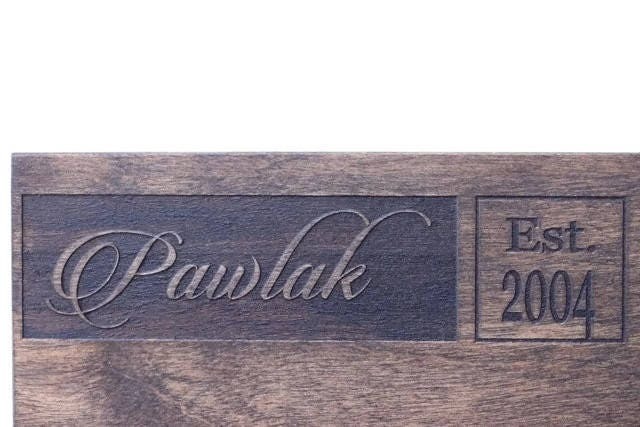 • Made of wood and laser engraved with your name and special year. • Personalization: Please provide a last name and year in the "notes to seller" section during checkout. 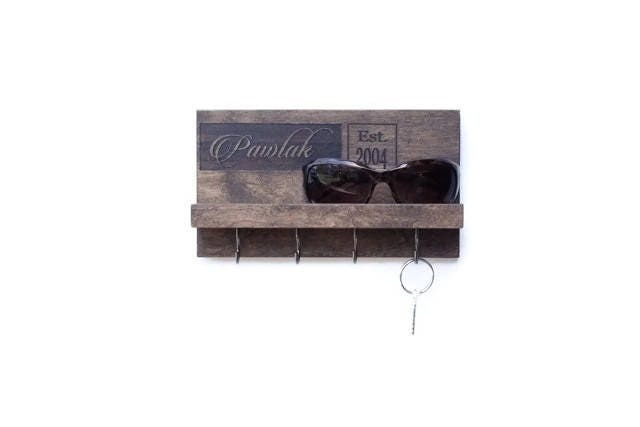 • Our modern key rack features four dark metal key hooks and a sturdy shelf for added functionality. • The product is easy to install, and wall screws and anchors are included. 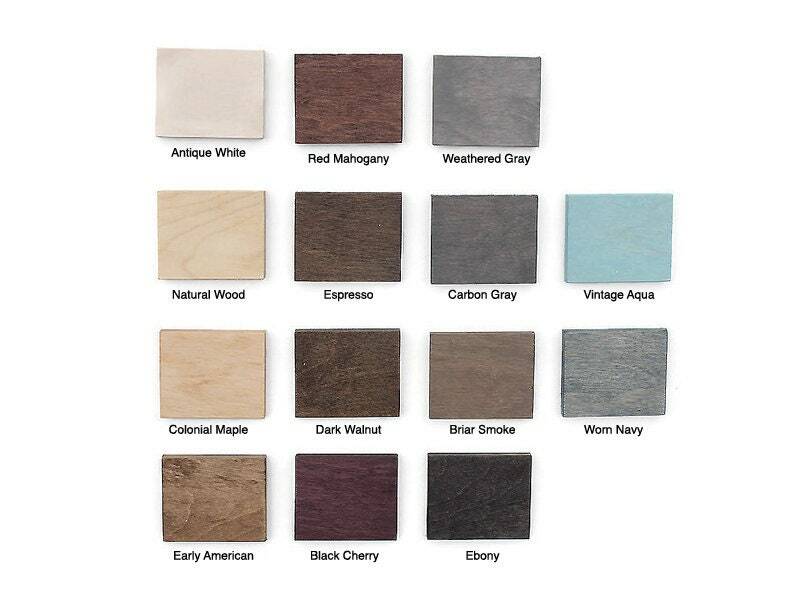 • We will send a digital proof for your approval shortly after your purchase order is received. • Your entryway organizer ships via USPS 7-10 business days following receipt of payment. • Personalized orders are final sale.